The police were called and informed about two unattended backpacks and swarmed the Britomart train station. Armed police had to rush to Auckland’s Britomart train station after around two backpacks had been reported unattended at 7 p.m (NZ time), post the worst terror attack that New Zealand has ever seen. The authorities shut off Victoria Street and a section of Galway Street in central Auckland. 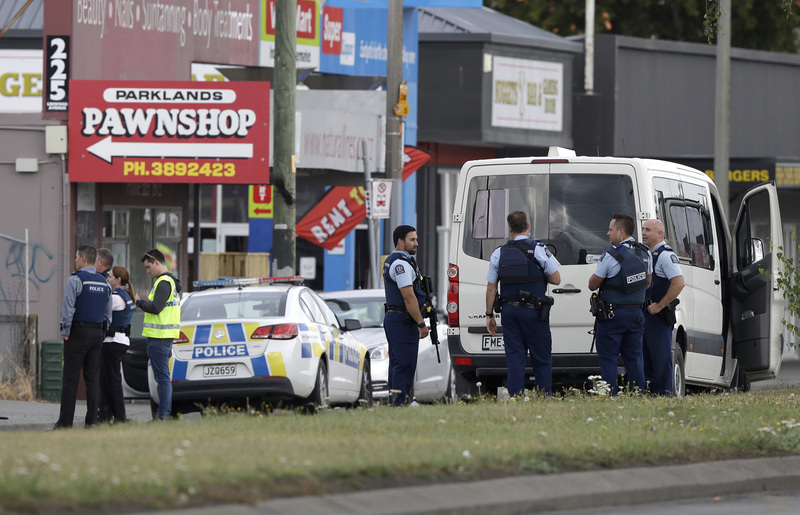 The New Zealand police confirmed that at least one controlled explosion had taken place after reports of the two unattended backpacks. The station was not evacuated though members of the public were held back behind cordons as the two backpacks were examined by the police. Bomb disposal robots were seen and it is reported that the bomb disposal unit carried out a controlled explosion. The Bomb Squard had just arrived at Britomart, Auckland, New Zealand. Trains have stopped running, restaurants are closed and police have been asked to evacuate the area and push people further away from the scene. This explosion was reported to be a precaution. The authorities were able to confirm that the backpacks were not suspicious and when they looked into it, they came across scaffolding equipment. Since the checking, the train station has been re-opened and trains are running as per schedule. The situation has been tense since the mass shootings at two mosques full of worshippers attending Friday prayers killed 49 people. A gunman who identified himself as Australian man Brenton Tarrant, 28, filmed himself driving to the mosque listening to music and he had half-a-dozen weapons on the floor of his vehicle. Tarrant also posted a 73-page manifesto to Twitter before the killings, describing them as a 'terrorist attack'.